Samuel Beebe (b. 1986) is a composer of concert, opera, theatre, and film music. He holds a MM in composition from Boston University, where he studied with Ketty Nez, Rodney Lister, and Samuel Headrick. During his time at BU, he taught harmony and participated in masters classes in composition with Gunther Schuller and Salvatore Sciarrino. He also holds a BS in music technology from Northeastern University, where he studied electroacoustic composition with Mike Frengel, Ronald Bruce Smith, and Howard Frazin. At Northeastern, he was strongly influenced by a song-crafting seminar with songwriter/singer/activist Peggy Seeger. Interest in the dramatic possibilities of music and a desire to collaborate with other creatives has led Mr. Beebe to pursue commissions in film, theatre, and opera. 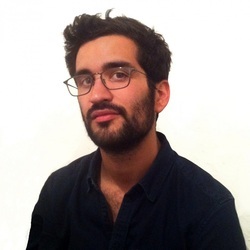 He wrote incidental music for Bully Dance, produced by Argos Productions at The Boston Playwright's Theatre, and multi-tasked sound design and scoring for Angela Carter's Hairy Tales, produced by Imaginary Beasts at the Boston Center for the Arts, which ended up nominated for a 2014 IRNE Award for best sound design and music. 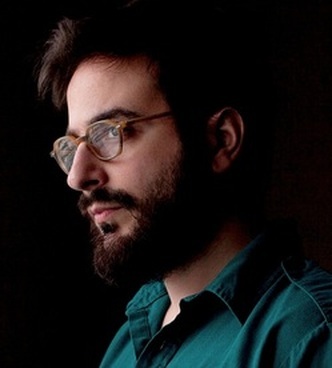 He also composed music for Beth Balaban's shirt documentary Tornado Tube, premiered at the 2014 Salem Film Festival at the Peabody Essex Museum, along with a score for Nellie Kluz's Gold Party, premiered at Camden International Film Festival in 2012. He has recently completed Riding on a Train at Rush Hour, a short choral opera commissioned by the Boston Choral Ensemble for their 7th Annual Commission Competition. His work for orchestra, 12 Days in the Bywater, will receive it's premier from Calliope, in the February of 2015. He is also involved with the new music collective Rossini Music Club, with includes fellow composers Howard Frazin and Adam Jacob Simon, violinist Olga Patramanskya, and pianist Kai-Ching Chang. Current projects include the Myrna Brown Commission for a competition piece for solo flute for the 2015 Texas Flute Festival presented by the Texas Flute Society, along with a flute concerto for Eugene Corporon and the University of North Texas Wind Symphony, commissioned by soloist Terri Sundberg. The Frog Prince, a musical play for young audiences, will have a three-week run at the Majestic Theatre in Springfield, MA in June 2015. For more information, please visit http://samuelbeebe.com. Ethan Frederick Greene creates music and sound art for concert hall, gallery, stage and screen. His work spans a wide range of styles and genres, including: instrumental, vocal and electroacoustic chamber music; opera and orchestral works; sound design, score and audio installation; and hip-hop, rock and electronica. Recent projects include "Perception Unfolds," a multimedia installation and iOS app with choreographer Deborah Hay; score for "This American Life" (Showtime) and "The Conspirator" (National Geographic); and music and sound design for the video games "Waking Mars" and "Spider: the Secret of Bryce Manor" (Tiger Style Games). Ethan has received commissions from ensembles and performers around the world, including the Houston Grand Opera, East Coast Contemporary Ensemble, FETA, Opera Southwest and line upon line percussion, and awards and selections from ICMC, SEAMUS, SCI and ASCAP. He received his D.M.A. in Composition from the University of Texas at Austin; M.Mus. in Composition from Rice University; and B.A. in Music from Amherst College. Ethan currently serves as Assistant Professor of Digital Arts at Stetson University. For more, please visit ethangreene.org. 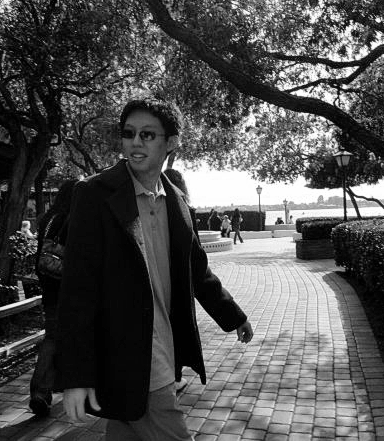 Frank S. Li is a composer, writer, and cartographer. He holds a B.A. In Music Composition and Urban Planning from the University of California, San Diego, an M.F.A. in Composition and Theory from Brandeis University, and works professionally in GIS (geographic information systems). His primary composition teachers include David Rakowski, Eric Chasalow, Lei Liang, and Philippe Manoury. Frank’s music is eclectic and still ever-changing. He is currently interested in sociopolitical issues, just intonation, eclecticism, and theater, but his past work has explored themes like unreliable narrative and imperfect patterns. His background reflects this well; though beginning as a violinist, he has also since performed as an instrumentalist, vocalist, actor, and conductor in contexts ranging from drum corps to klezmer bands. He is also an author who writes poetry and fiction. Frank occasionally drinks tea while sitting under trees or next to oceans, and even more occasionally sleeps. For more information: http://www.franksli.com. See all of our call for scores!